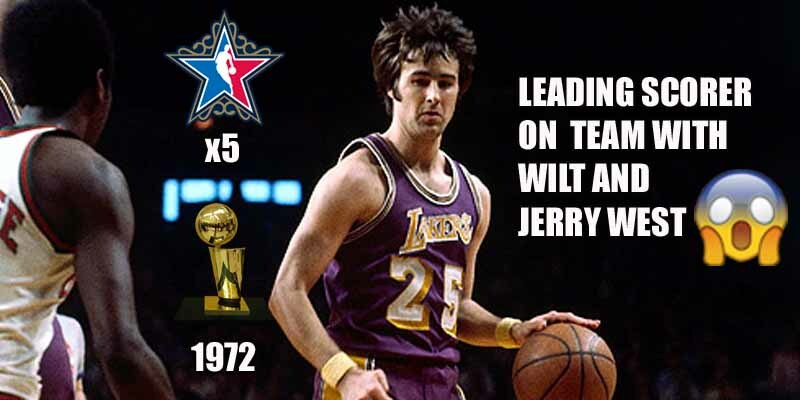 Gail Goodrich was the 5-time All-Star point guard on the 1971-1972 Lakers squad that was the first to win a championship after the move from Minneapolis. Two other guys on the team were Wilt Chamberlain and Jerry West, whom Goodrich outscored with 26 PPG. That’s pretty much all you need to know.